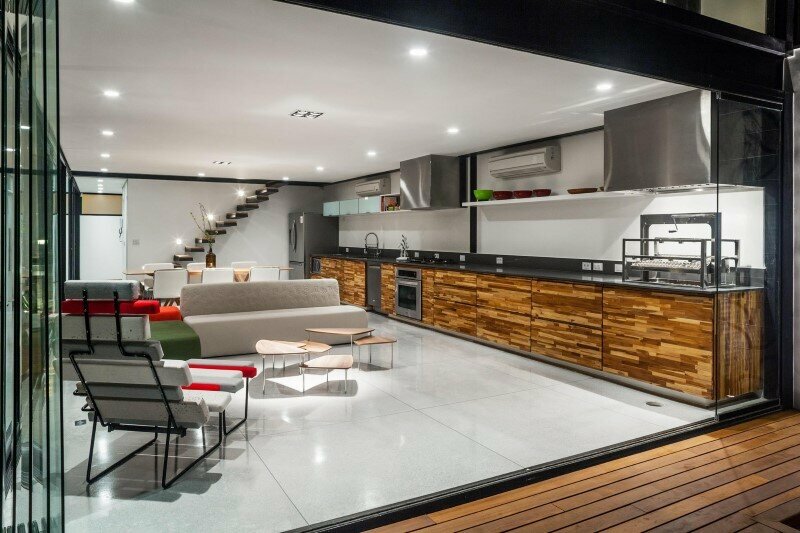 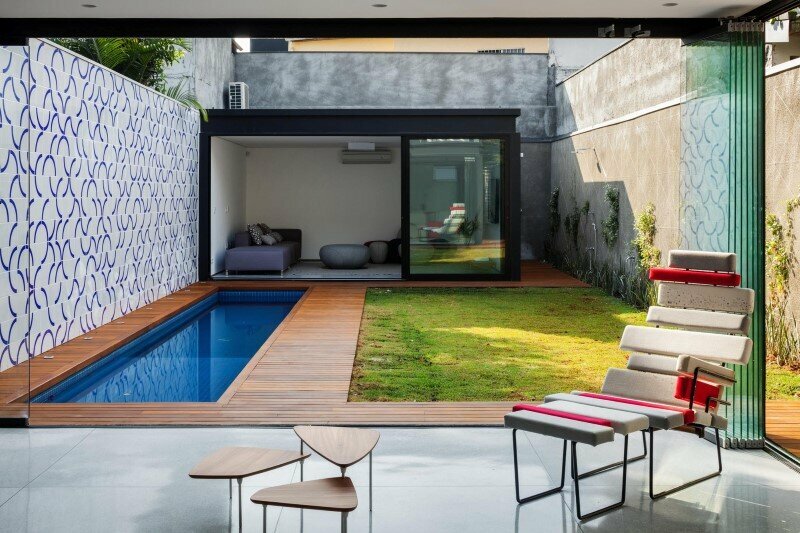 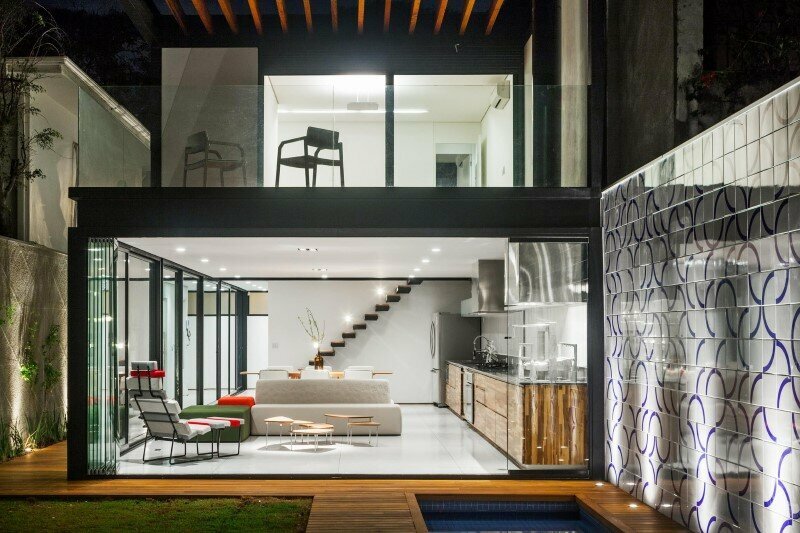 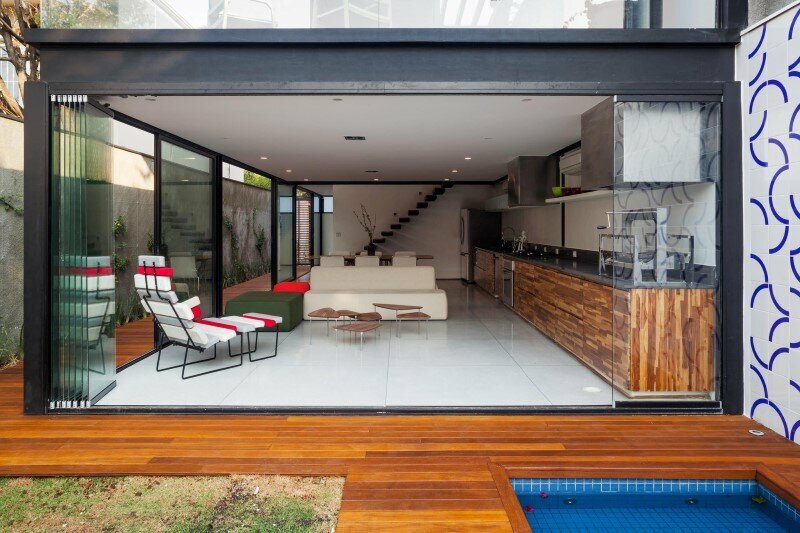 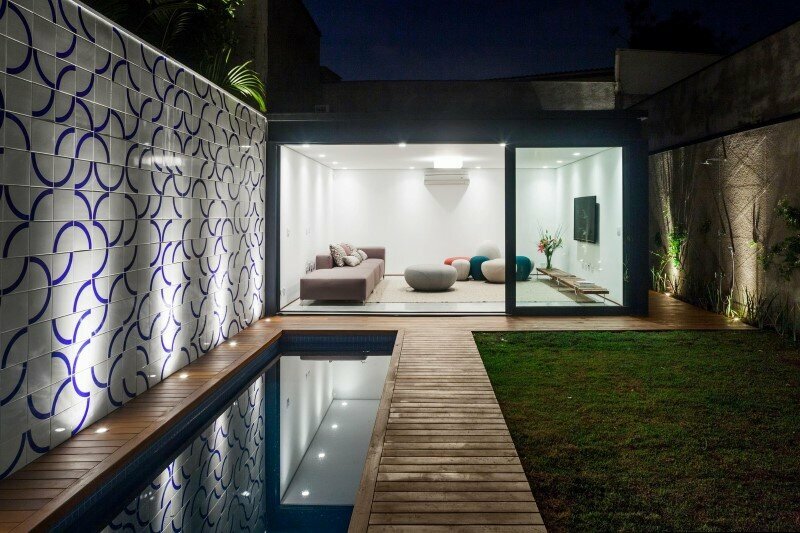 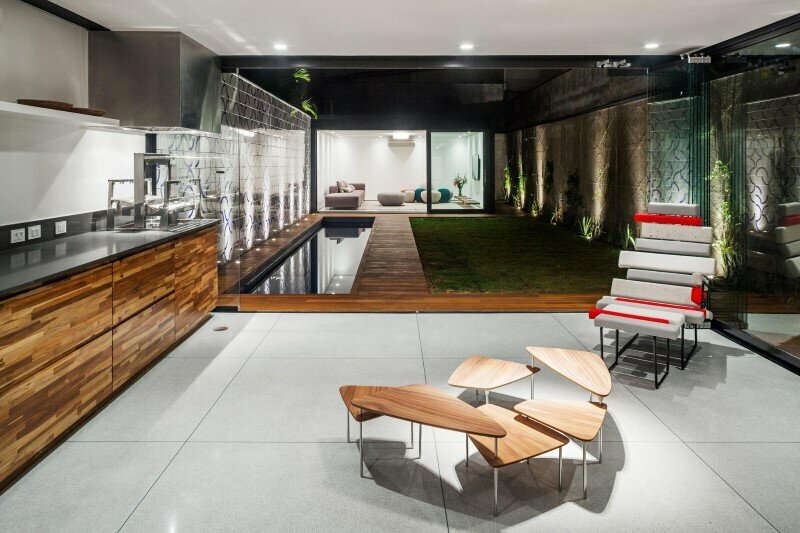 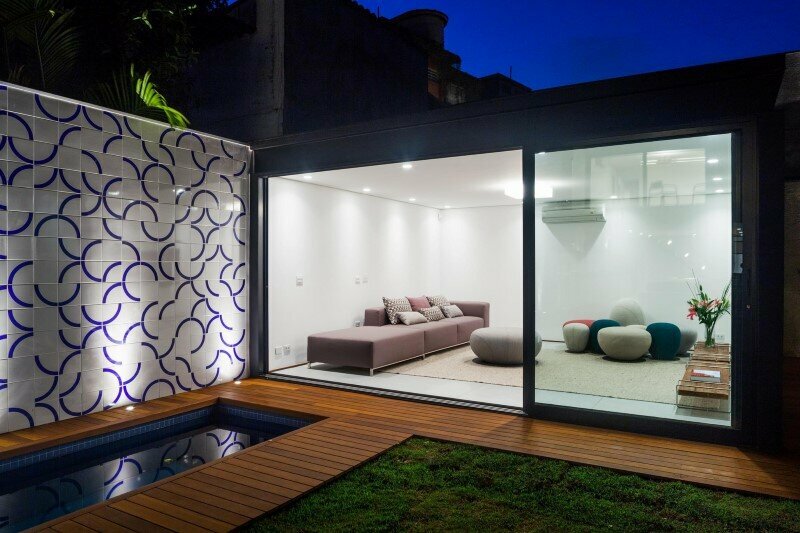 Located in São Paulo, this leisure house was designed by CR2 Arquitetura. 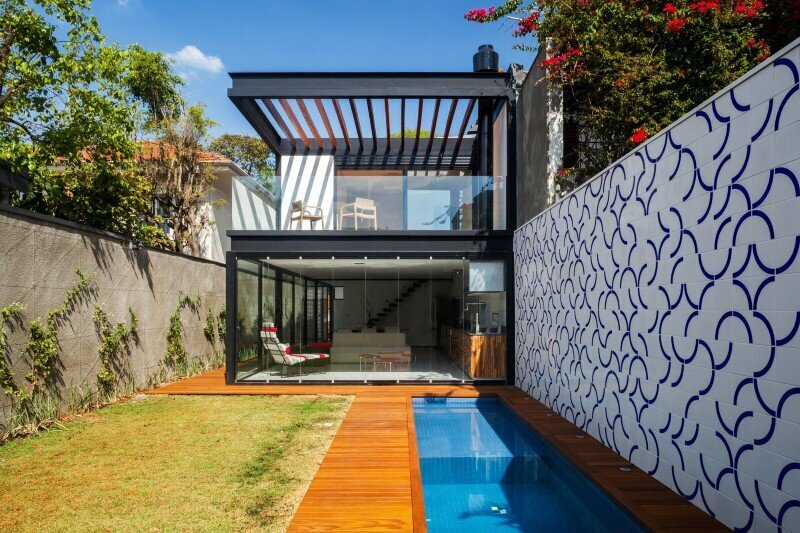 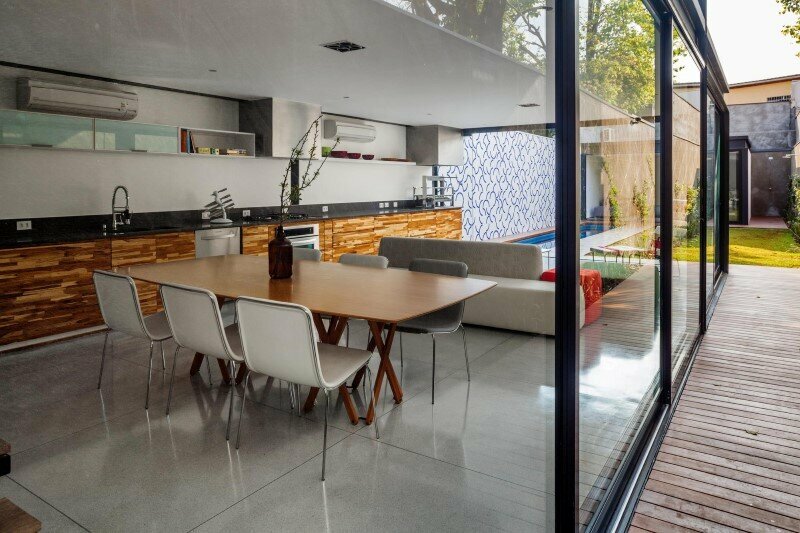 Description by CR2 Arquitetura: Spending hours in the car for a weekend out of Sao Paulo was not part of the plan for this couple, with a small daughter and a second baby to come. 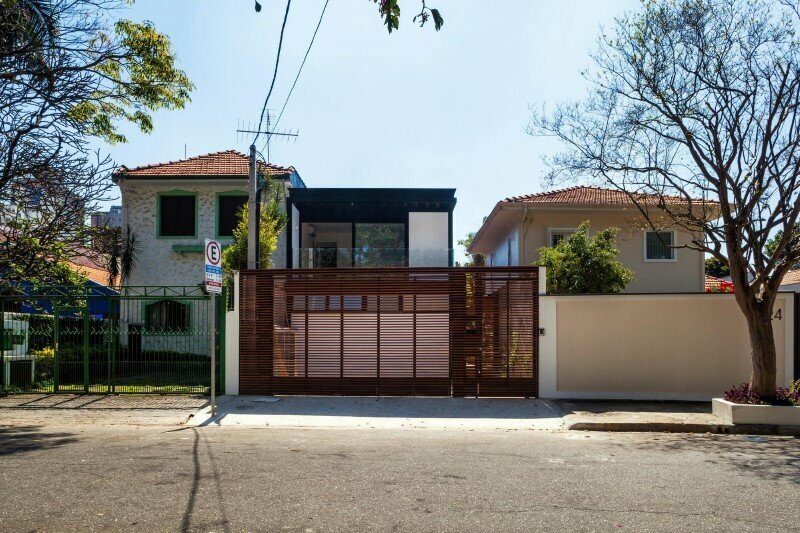 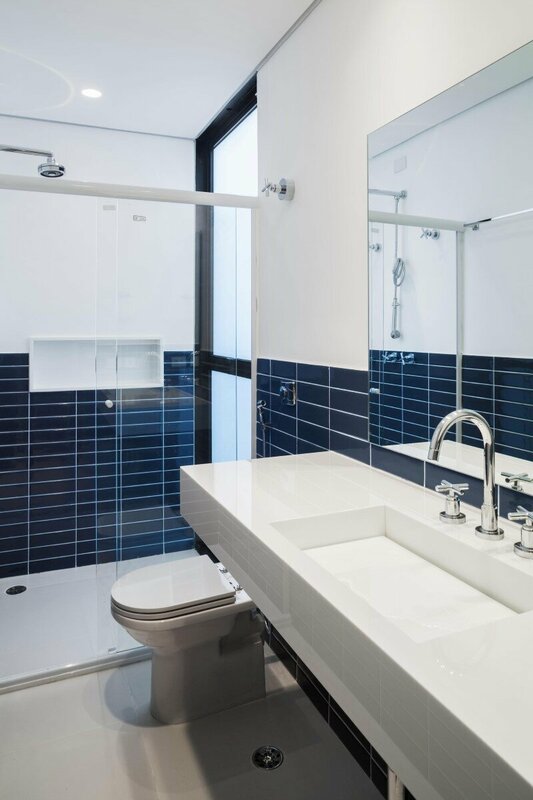 That´s how they had the unusual idea of building a second house in the city of São Paulo, as a leisure house, less than a kilometer from their actual apartment. 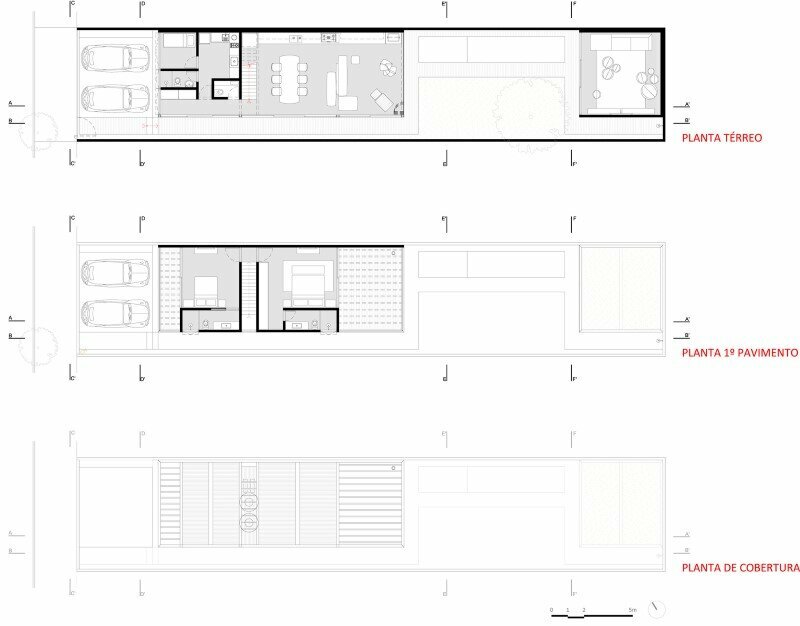 The initial request was a compact house, with flexible spaces considering a barbecue grill, a swimming pool, two suites and a big green area (as they live in an apartment). 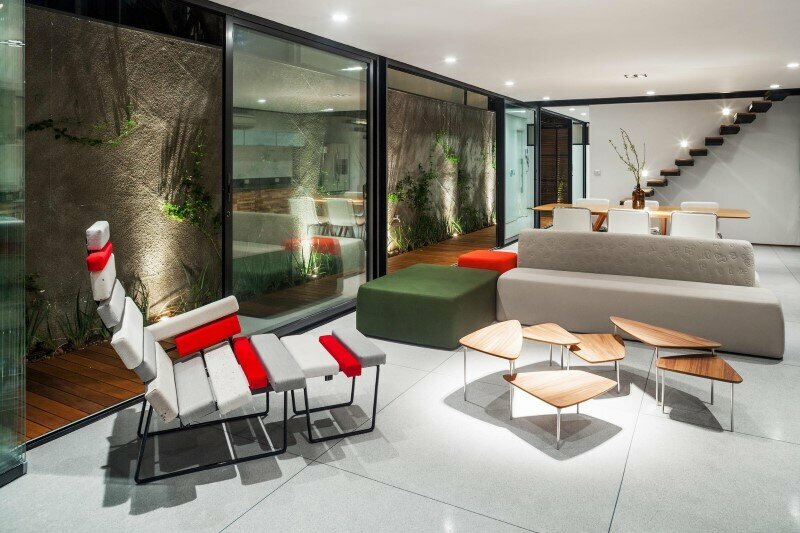 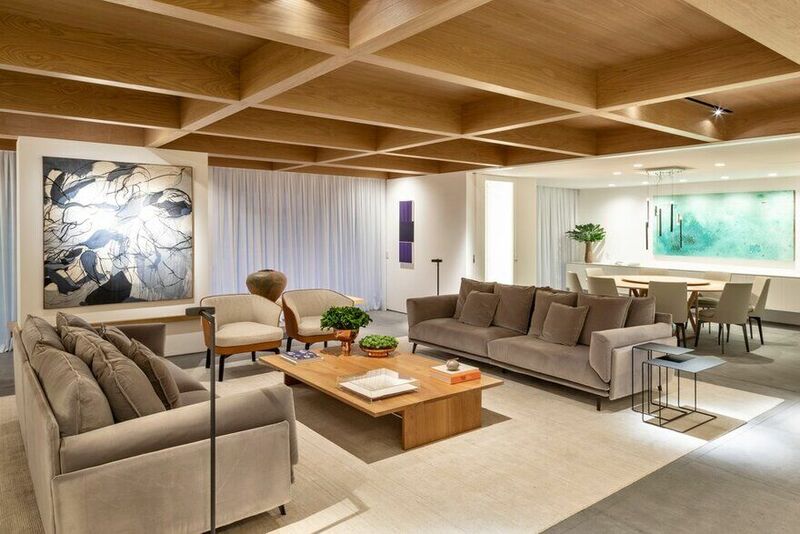 The garden, together with the artistic panel designed by Athos Bulcão Foundation, connects all the social area of the house at the ground floor: leisure, kitchen / living and family room. 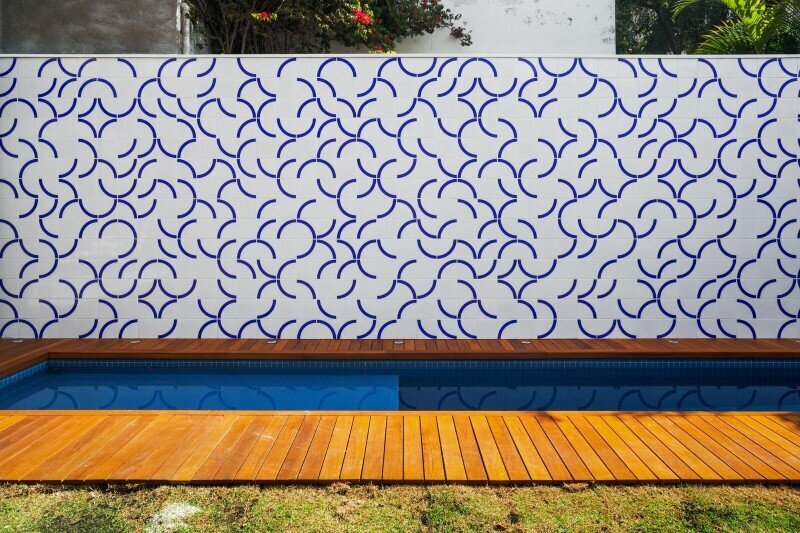 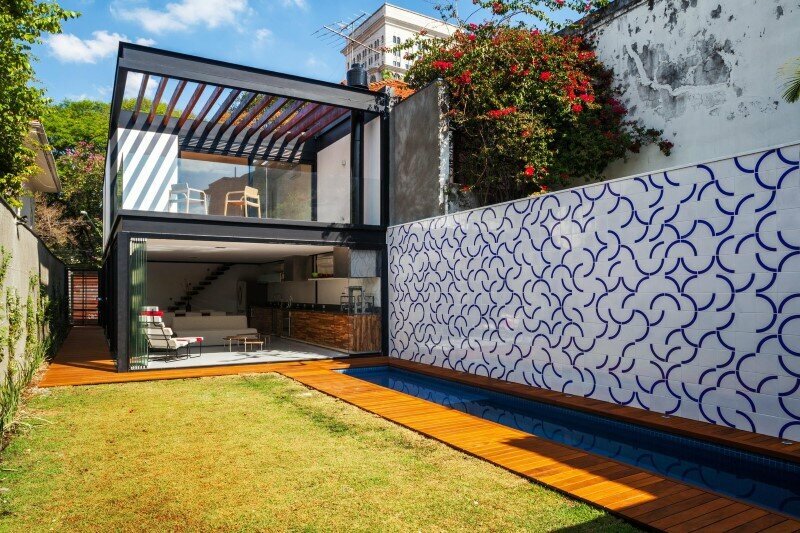 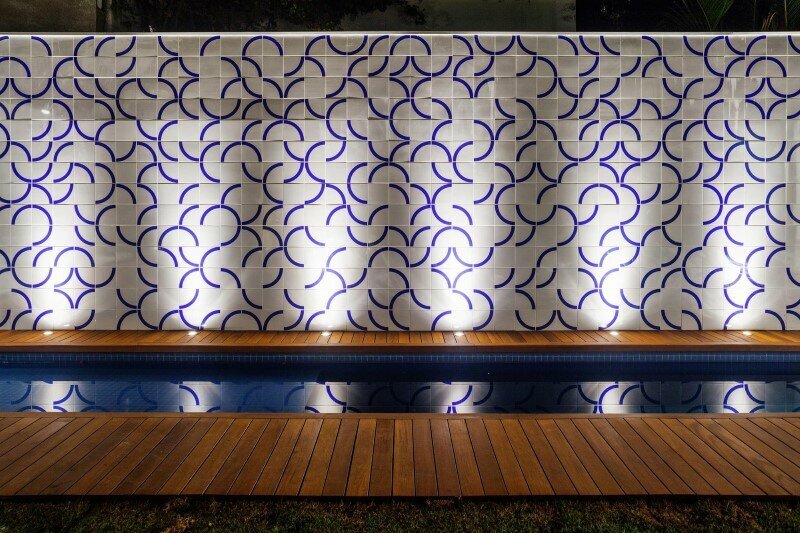 This panel, along the entire length of the pool, is a tribute to the Brazilian modernist architecture and the client, who came from Brasilia and grew seeing the artist’s works. 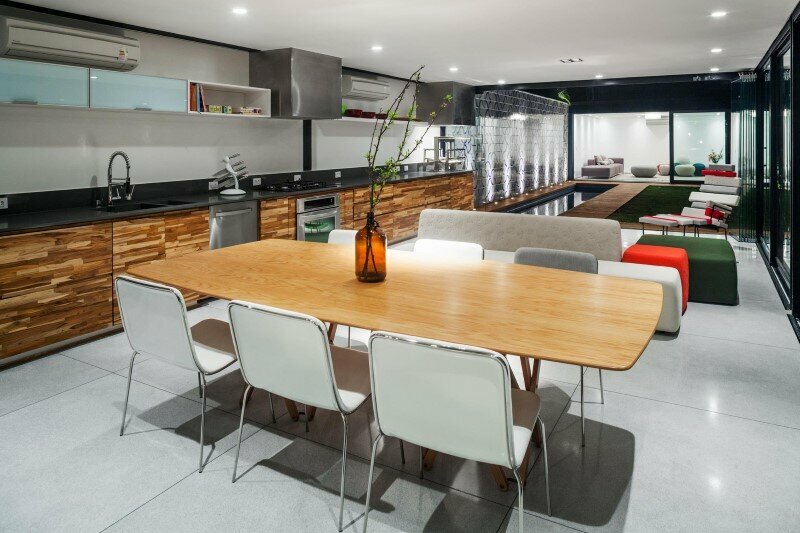 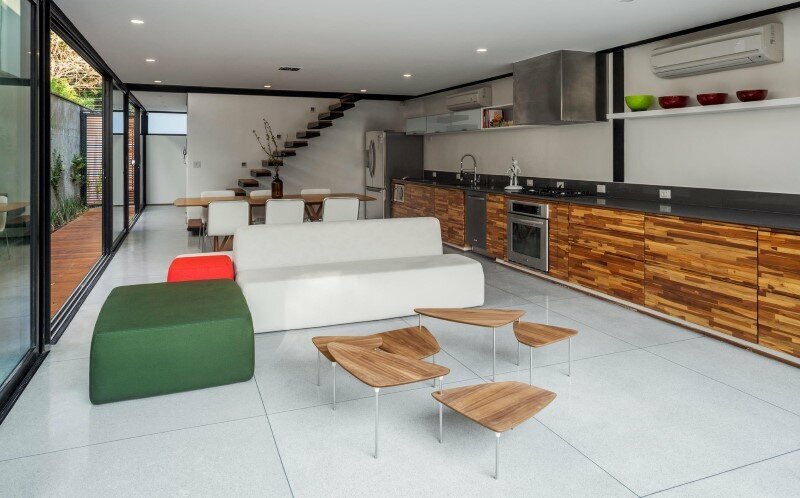 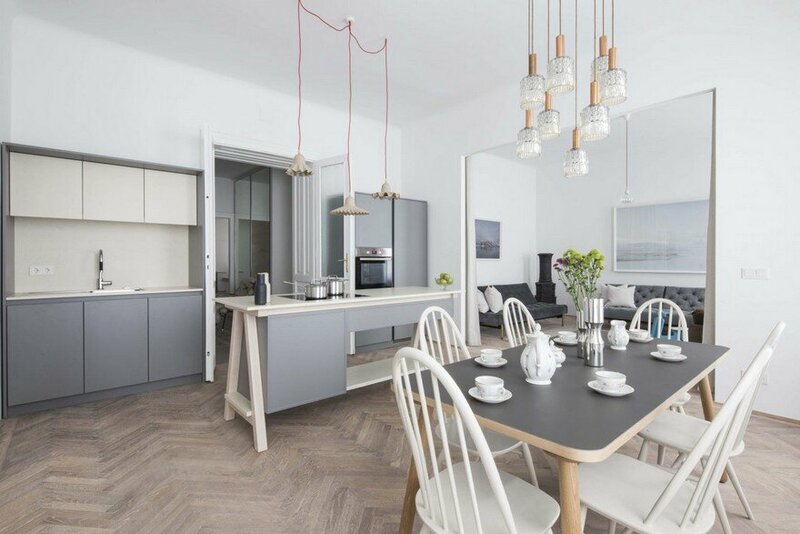 The kitchen/living room is a multiuse space, without any walls with a long bench that contains all the sinks, grill, cabinets, etc, from one side to another of the space. 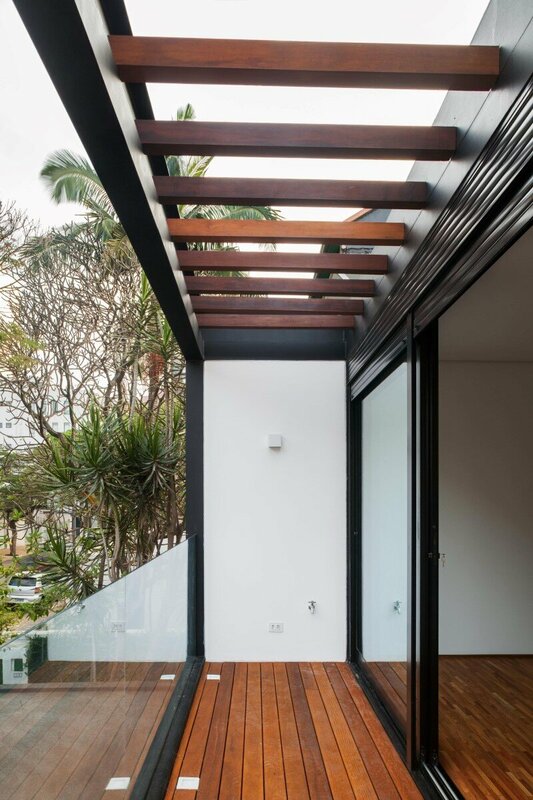 The rooms located on the first floor are protected by a wooden pergola overlooking the garden and the trees from the street. 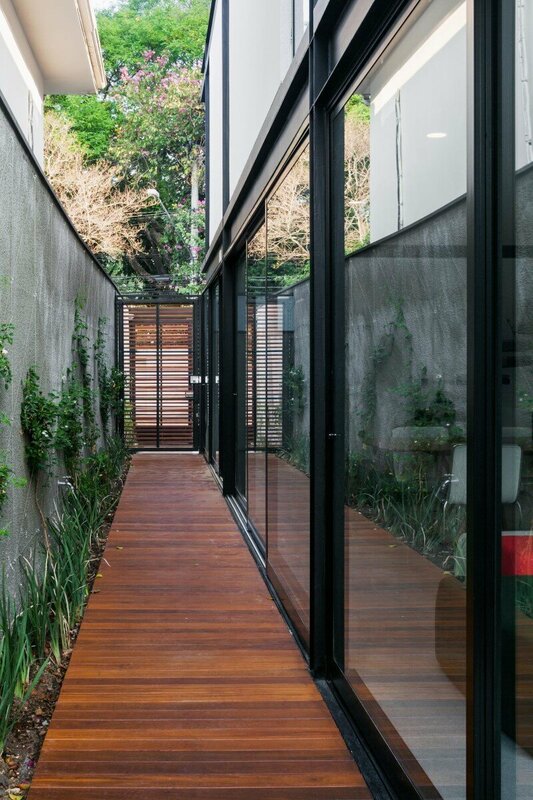 The dimensions of the land (7x37m) suggested a rational construction, that optimizes the construction site, so we chose the metallic structure and the house was constructed in just eight months. 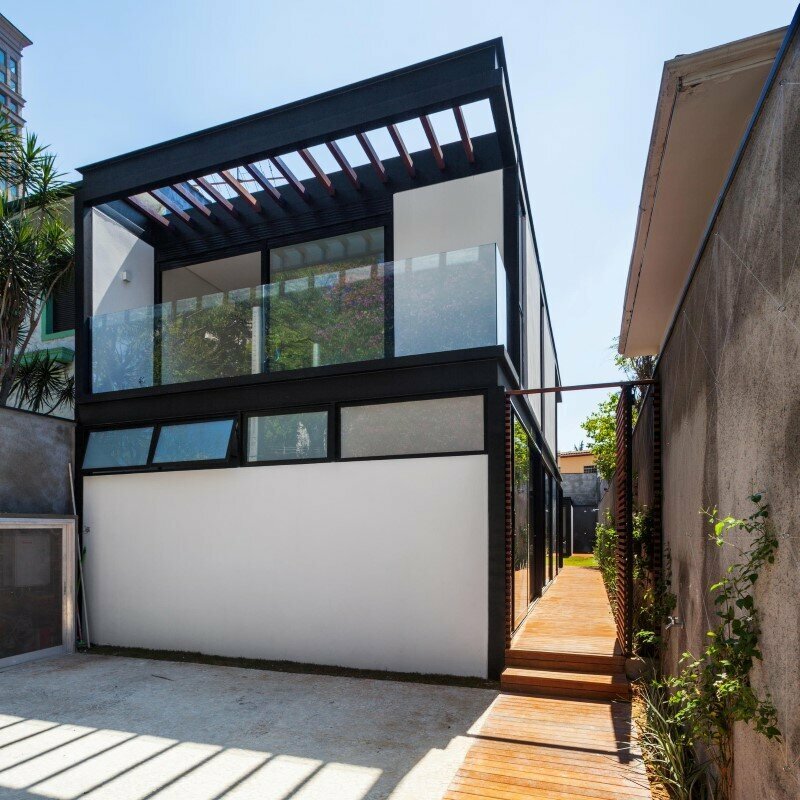 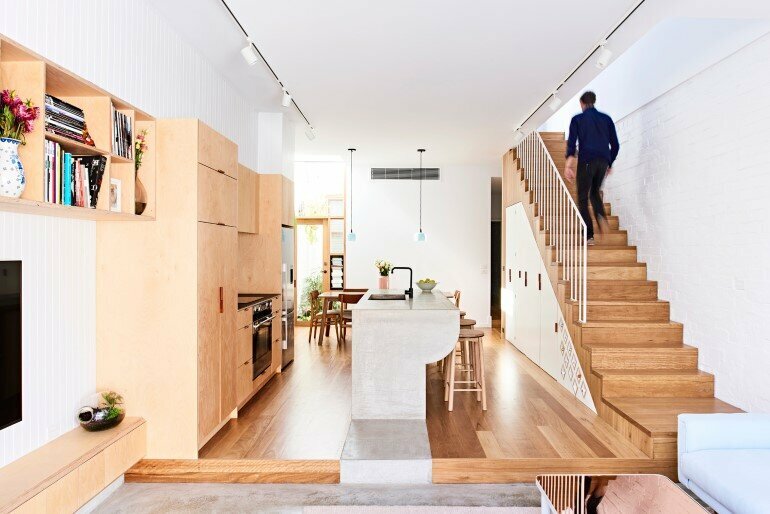 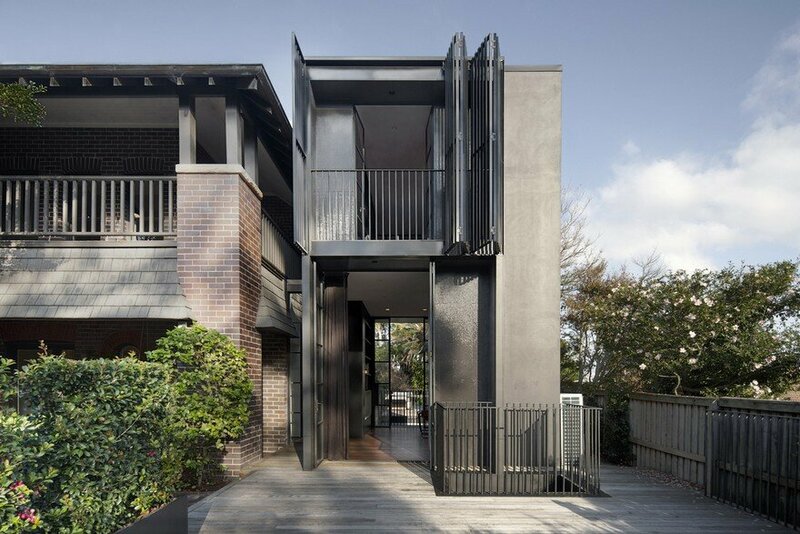 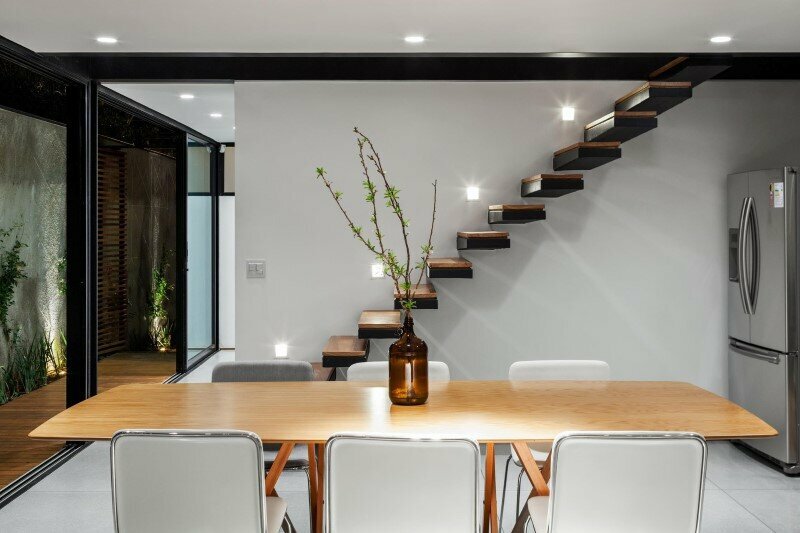 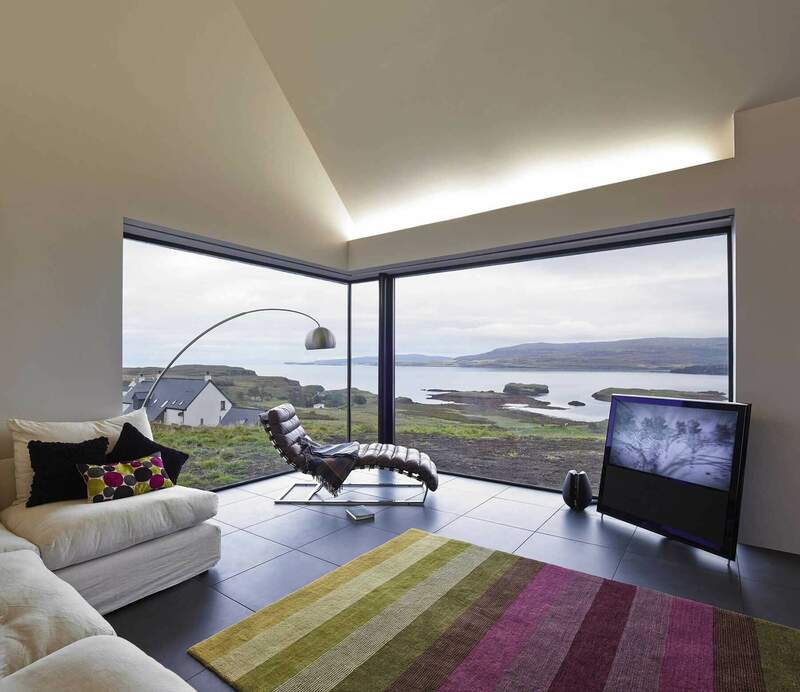 The result is a house with approximately 185sm, which appears to be bigger than it is, thanks to integration and continuity of enclosed spaces and garden.